Gina Raimondo has made history by becoming Rhode Island's first female governor. The inauguration of the 43-year-old Democrat was held Tuesday during a light snowfall outside the Statehouse. She's the first Democrat elected to the job since 1992. Raimondo said in her inaugural speech she's mindful that Rhode Island families are struggling with some of the toughest economic conditions the state has ever faced. She says it's time to "stop our decline" and ignite a comeback. She says it's imperative to build the skills of the workforce, attract entrepreneurs and innovate. As state treasurer, Raimondo crafted an overhaul of the state's pension system. 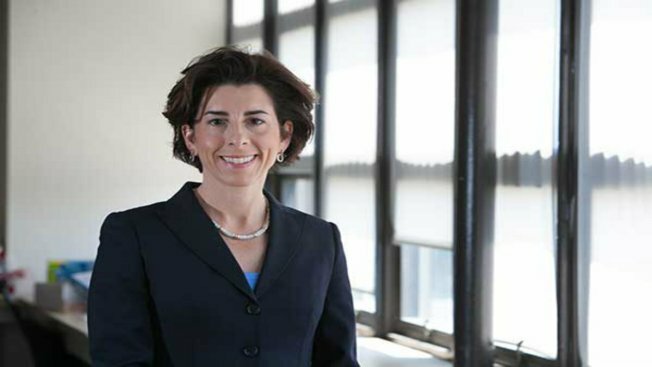 Raimondo Becomes RI's First Female Gov. Raimondo replaces Lincoln Chafee, who didn't seek re-election. Also inaugurated were Lt. Gov. Dan McKee, Secretary of State Nellie Gorbea, General Treasurer Seth Magaziner and Attorney General Peter Kilmartin.